Ahead of Saturday night’s champion vs champion fight between flyweight champion Henry Cejudo and bantamweight champion T.J. Dillashaw, the UFC has revealed their new “Legacy” title belt. 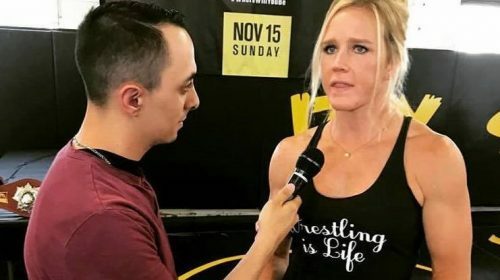 The brand new belt also comes at the same time that the UFC and ESPN will kick off their partnership starting with UFC on ESPN+1, which is headlined by Dillashaw coming down and challenging Cejudo for the flyweight title. The belt is represented by eight countries in the flag iconography to represent champions from countries: U.S.A, Canada, U.K., Ireland, Brazil, Poland, Netherlands, and Belarus. Another new addition to the new Legacy championship belt is that there will be red stones added to the side plates for champions to mark their successful title defenses. UFC President Dana White unveiled the belt on ESPN’s morning show “Get Up” with host Mike Greenberg. White said that bringing in the new era with ESPN is also why they chose to change up the belt which had been in place since 2001. When the UFC announced the new belt, they did so with a video on their Twitter that highlighted former champions including Conor McGregor, Brock Lesnar, Jon Jones, and Daniel Cormier just to name a few. The new belt drew some attention from plenty of fighters around the UFC and in particular current featherweight champion Max Holloway and former lightweight champion Conor McGregor, who stated that he’s back to pursue this new belt. Holloway who has had two title defenses of his featherweight title, most recently against Brian Ortega at UFC 231, made a reference to the added stones feature and Thanos from Avengers. 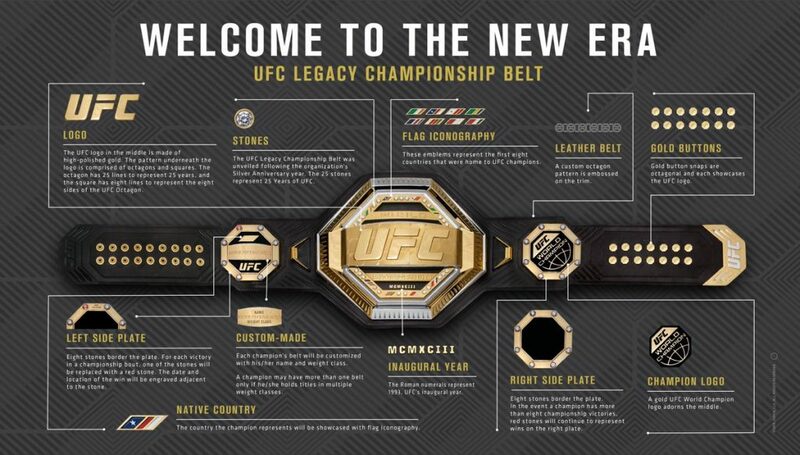 The new belt has sparked plenty of conversation from fans and fighters alike, and for those who are interested in the replica version of the belt, the UFC has made it available for purchase on the UFC online store for $850, which can be purchased here.